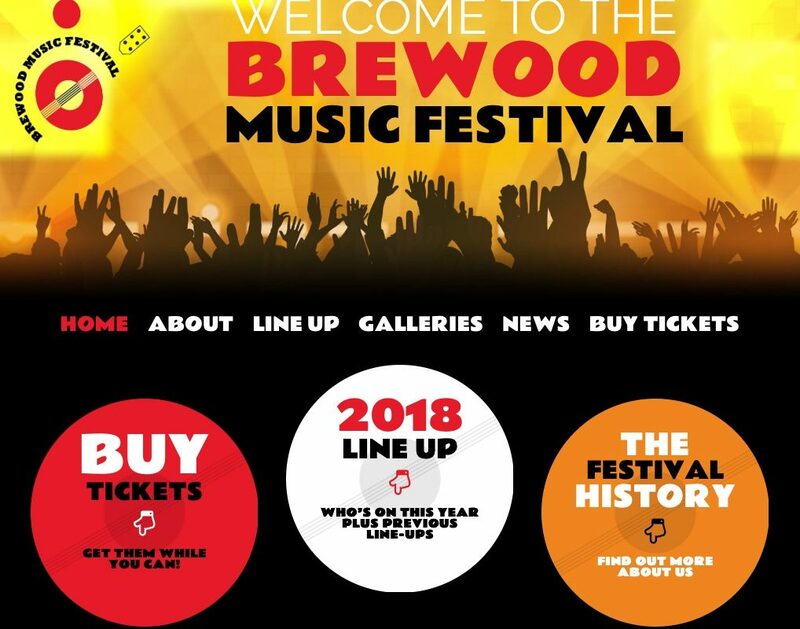 Welcome to Brewood Music Festival’s new website. As with everything to do with the festival we’re aiming to make it bigger, better and more up to date than ever before. There will be plenty of exciting new developments to share with you all between now and the festival beginning on Thursday 12th July 2018, not least the unveiling of the new home for our main event. We’re extremely grateful for the kindness and support shown to us in previous years by all at St. Dominic’s, but 2018 sees us relocate to a new home at Brewood Middle School. The move opens up a wealth of opportunities for Brewood Music Festival and we’ll be sharing these with you as we edge ever closer to the event itself. We’re really looking forward to establishing a long, enjoyable and successful partnership with Brewood Middle School and thank them for their support and enthusiasm in hosting our event. We aim to make our new website the hub of everything happening with the festival. Here you should be able to find all the information you need about the event coming up in 2018 alongside history, pictures, ticketing information and a whole lot more. There are pages with frequently asked questions, details on sponsorship, contact details and a gallery of some of our most recent festivals. The website will be your first port of call for breaking news about what’s going on, new innovations and most importantly who’s playing! So, be sure to check back regularly. In addition there’s also our twitter and Facebook pages with links on the home page of the website to help direct you there. So, take some time to have a look around. We’re hopeful of some big breaking news very soon, which will be released here first. It may seem like a good way away but July 2018 will be here before you know it. Tell your friends, remind, your neighbours, invite the family; we need you all to give your backing to the festival more than ever before to make it happen and we promise, you really won’t want to miss it!